As the name suggests, this recipe consists of flavored paneer cubes dipped in rich, creamy absolutely smooth gravy. This special gravy has cashews, heavy cream (nobody can go wrong with these ingredients) and all spices for great flavor. Paneer is all-time favorite in our household. My 6 year old practically lives on that. So I try different ways of cooking it. 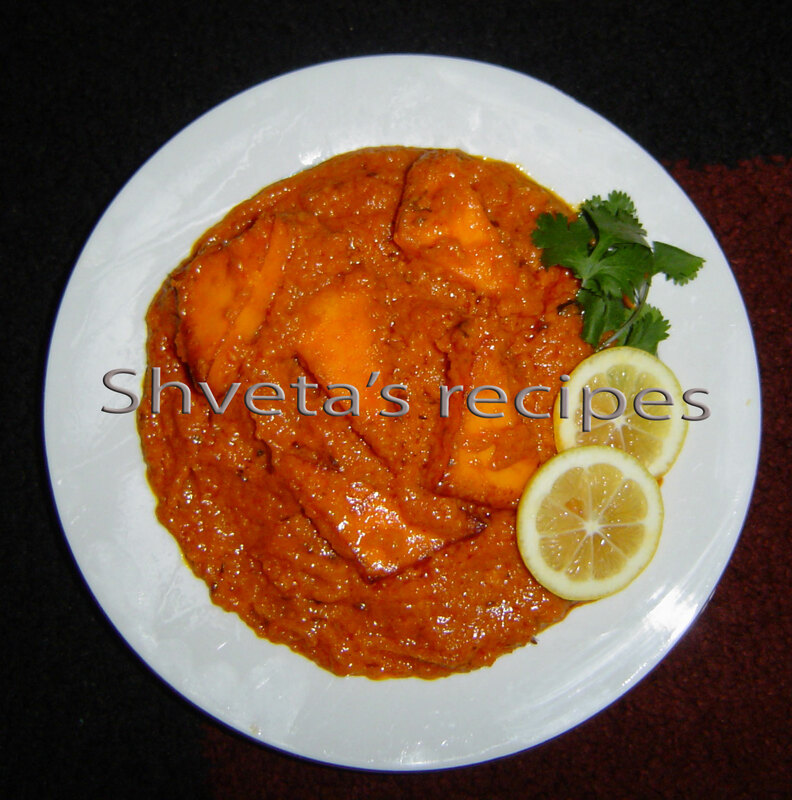 It is also one of the most requested entrees in Indian cuisines. Cut paneer in triangles put some salt and tandoori masala on paneer pieces and keep aside for at least 20 minutes. Very lightly shallow fry paneer cubes in 1 tbsp of oil. Keep aside. Heat olive oil in a pan. Add whole garam masala. Let it crackle. Add cumin to it. Then add pureed onions and sauté them, till turns light golden. Add ginger paste, garlic paste and chopped green chilies (optional). Cook for 2 minutes. Add tomato puree, turmeric powder, red chili powder, coriander powder, garam masala powder and salt. Add grated paneer and cashew nut powder to the gravy. Bring it to a boil. Reduce heat and simmer for 10 minutes. Add honey to it. Stir in heavy cream and simmer for 10-15 minutes. Add Paneer pieces to the gravy. Simmer for another 5 minutes. ← Refreshing Corn Salad…..Spring is almost here! Just like paneer butter masala Palak Paneer is also one of the delicious and mouth watering dish. I am looking for recipe for paneer pasanda, if some one can help me out. Looks awesome. Great job keep up the good work!! !